The unique K-Lev spot head light from Tech Lighting integrates the latest LED light guide technology with the versatility of Kable Lite. Each panel head pivots 360° and can be mounted up or down, making it ideal for direct and indirect general illumination, wall wash and display applications. 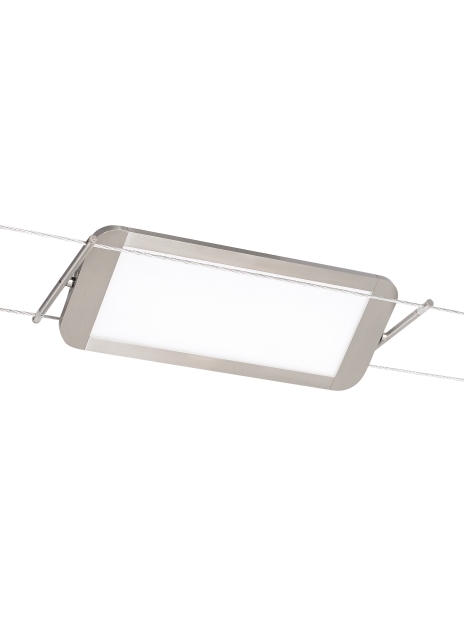 When used in conjunction with other low-voltage heads and pendants for Kable Lite, the K-Lev offers incredible flexibility to layer light throughout a space. Mounts to Kable Lite Only Includes 12 watt, 753 delivered lumen, 3000K LED module. Dimmable with low-voltage electronic or magnetic dimmer (based on transformer). Length -- Choose -- 12"
Cable Seperation -- Choose -- 5.5"